Looking for a home or a great get-away, or have a home you'd like to sell? Looking for some acreage - large or small - we have property with views, waterfront, or perfect for farming. Come for a visit or an extended stay. 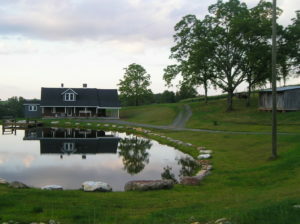 We have a variety of vacation rentals to stay in while enjoying Alleghany County. Alleghany County, North Carolina, is graced with the Blue Ridge Parkway, beautiful mountains, bold streams and creeks, abundant wildlife, flowing New River and Little River. We have a friendly, gracious rural community attitude; yet near the urban centers of Charlotte and Winston-Salem. A place where you can know your neighbors and count on them as true friends. Traditional family values are practiced, not just talked about. Such a beautiful place, you may find yourself singing "Nothing could be finer than to be in Carolina." Our agents can provide the full range of real estate services to you. Whether it's property high up a mountain, beside a river or land for commercial purposes; a full-time residence, a summer home or your retirement dwelling; a weekend retreat or extended vacation, let Miles Realty help you fulfill your dreams in the "Unspoiled Province" of Alleghany. Send us an email or give us a call and we'll be happy show you some properties!